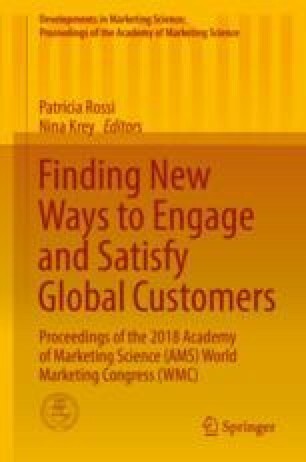 Academic literature, as well as countless companies, have found cause-related marketing (CRM) to be a powerful sales promotion tool. CRM campaigns are complex promotional tools that present managers with a myriad of decisions to make, and they have been termed “profit-motivated giving” because of the link created between company sales and charitable donations. Campaign duration is an important consideration for any sales promotion, and it has been well studied in traditional settings. However, little research addresses how consumers respond to different campaign durations in a CRM setting. This research seeks to address how firms can maximize the goodwill benefits and the short-term sales gain associated with CRM promotions. A key element needed for CRM success is for the company to be perceived as altruistic and avoid consumer skepticism. Considering this, traditional sales promotion research may not be applicable to this style of sales promotion. Short sales promotion windows are often favored because they create a sense of urgency. However, in a CRM setting, a short window may signal to consumers a tokenistic approach in the company’s support of a social cause. Thus, this approach may undermine the company’s ability to generate goodwill or increase short-term sales. This research is built on the Persuasion Knowledge Model (PKM). This model provides valuable insight into how consumers view and experience marketing tactics. Consumers are frequently prompted with persuasion attempts from marketers and over time acquire knowledge regarding these tactics. If consumers assess a marketers’ persuasion attempt as inappropriate, they will likely refrain from purchasing from company. We propose that short campaign durations may activate consumers’ persuasion knowledge, ultimately decreasing the effectiveness of the CRM promotion. The present research addresses how consumers’ respond to different promotion lengths in terms of perceptions of social responsibility and purchase intentions. It is proposed that campaign duration affects purchase intentions indirectly through consumers’ perception of the company’s CSR. It is also examined if responses differ based on the companies’ historical involvement with nonprofits. Experimental results found that as duration increased, the company was seen as more caring and altruistic, which ultimately led to more favorable purchase intentions. Support was found for a negative response to short campaigns, but this result was only significant when the company had no CSR history. Companies with a long history of CSR were able to run a short campaign without detriment. These results have valuable implications for theory and practice. This study finds that traditional sales promotion theory does not translate cleanly to a CRM context. Although short campaigns traditionally generate consumer urgency and action, they also signal that a company is less altruistic in their nonprofit support. The findings indicate that CRM promotions do not have a one-size-fits-all strategy for companies. New companies, or companies new to partnering with causes, should strategize for long-term partnerships. Companies with existing partnerships should communicate these long-term commitments.